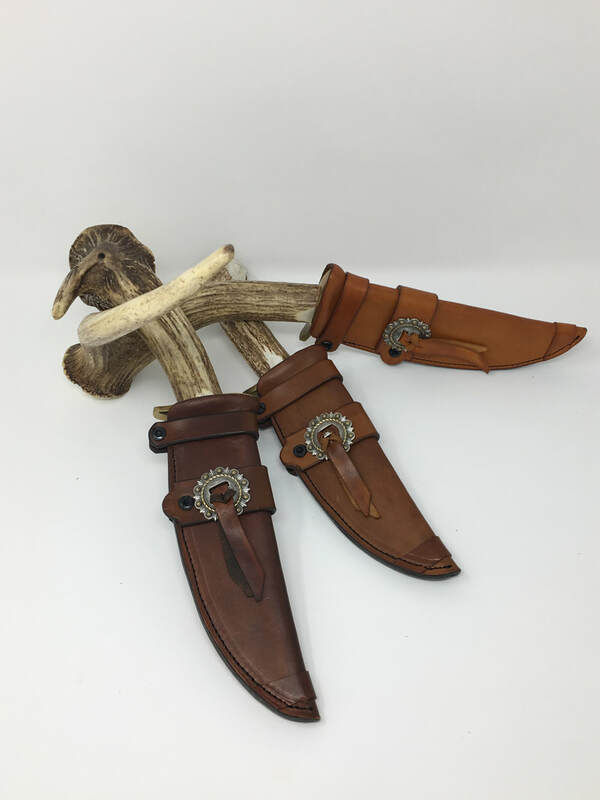 Each knife sheath is custom made to fit your knife. The leather and blade are vacuum sealed for a precise fit. Therefore, we either need your knife, or you will need to buy the knife that the sheath is made for. We have attached a link by each sheath to give you the purchasing information.